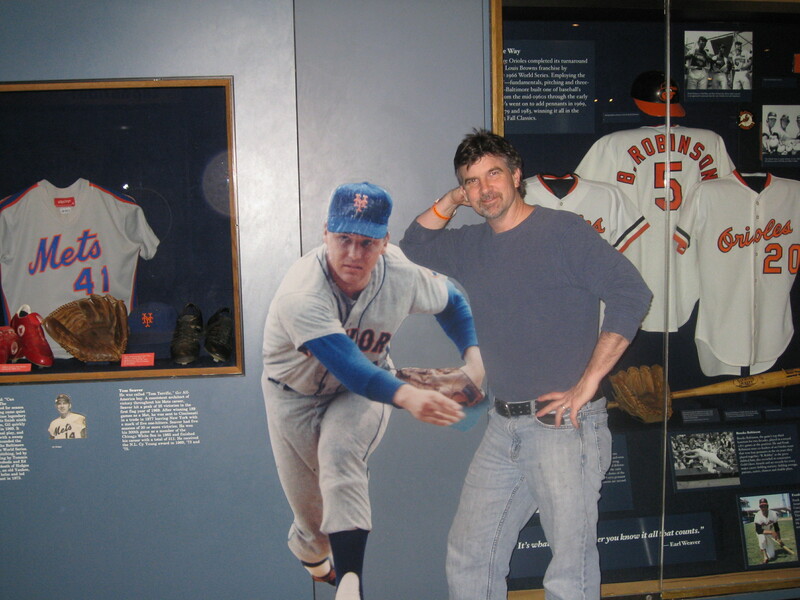 Living in Delmar, NY, we’re about 75 miles from Cooperstown, home of the Baseball Hall of Fame. Beautiful little town in the middle of nowhere, with a gorgeous lake and a lost-in-time feel. 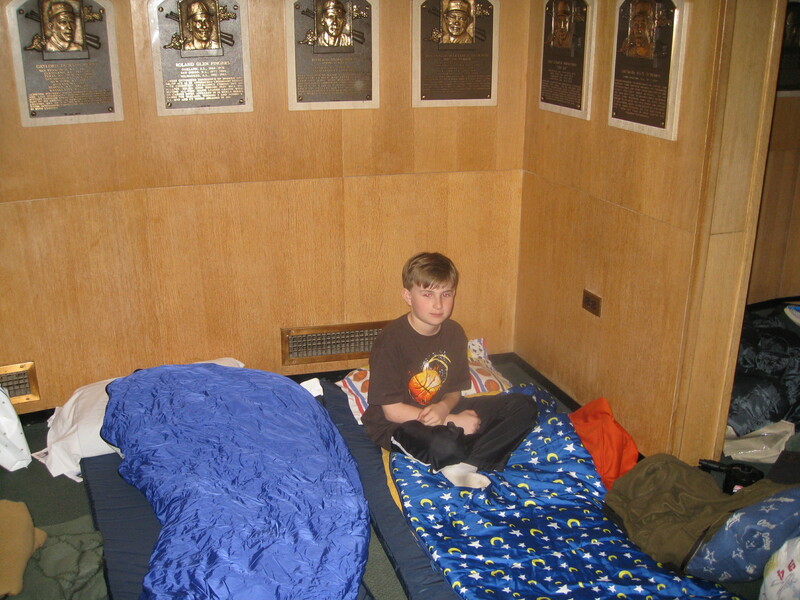 The museum offers a program called “Extra Innings,” where groups may come to spend the night. So a group of 36 local children, most of them accompanied by an adult, arrived at the museum at 6:00. The kids played a baseball trivia game, then had a scavenger hunt that brought them all over the museum — which was empty except for us. At 8:30, they watched “The Sandlot” in a small theater, lights out at 11:00. Didn’t sleep so great, but it was a great experience for young and old alike. 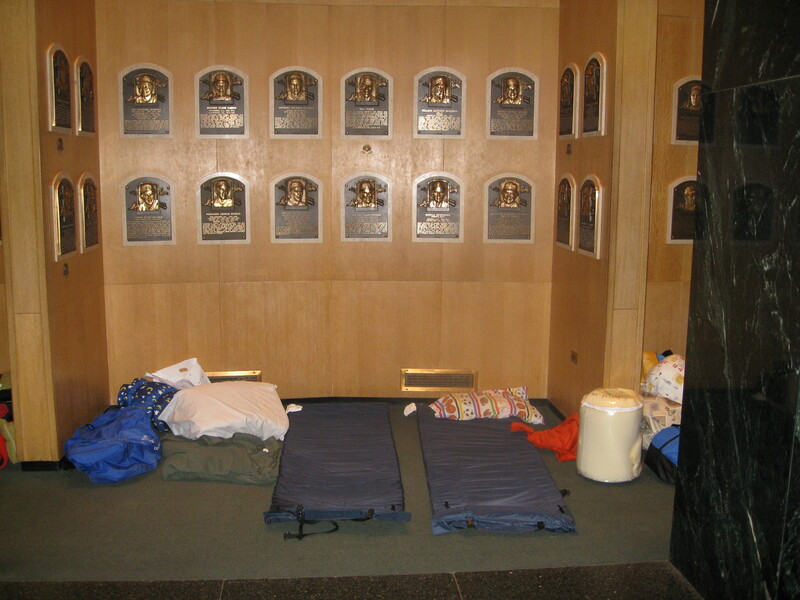 We all slept in the Gallery, where each Hall of Famer has his own plaque. While my favorite old-time players are Ted Williams and Christy Mathewson, we are Mets fans to the end, and there aren’t many Mets in the Hall of Fame. I believe the grand total is one. 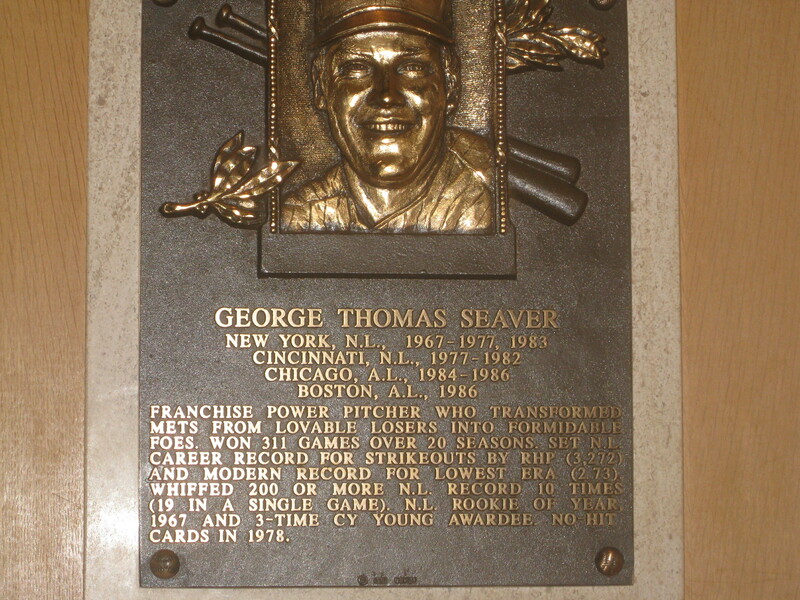 So we found Tom Seaver’s plaque and claimed our spot. I enjoyed wandering around the near-empty museum, where I found a famous shoulder to lean on. Here’s Gavin, just about ready for bed. Maybe to most folks, that just seems like a bad night’s sleep. But we counted ourselves lucky. Sandlot is a good baseball movie. Sandlot 2 not so much.